This is, by far, one of the best dishes I’ve ever had. No kidding! The mix of sweet, salty and fresh satisfies every taste bud! My dear friend, Ms. P., served these before dinner just last night. Honestly, I would have been happy to eat the entire platter and call it a night. 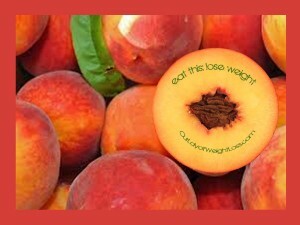 In a medium size bowl, toss together peaches, sugar, vinegar, and cumin. Let stand for 15 minutes (more or less). Cut ham slices in half lengthwise. Then … wrap each piece around a wedge of peach. Top with a basil leaf and secure with a toothpick! For more incredibly delish, 5 yum recipes, happy talk and more, join Our Lady of Weight Loss‘s Club: Kick in the Tush Club/Facebook! Dictated but not read by OLWL. Excuse all typos!